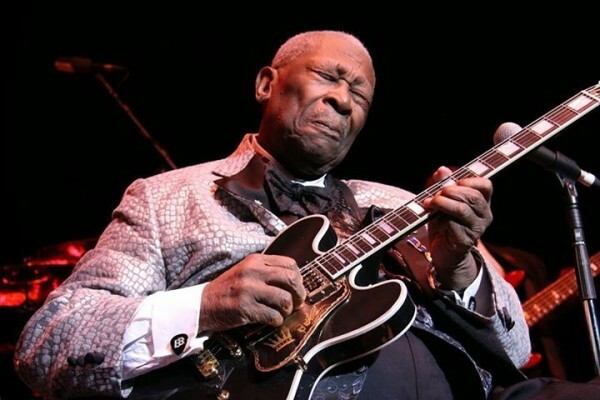 On Thursday, May 14th the blues world lost a legendary iconic talent. Riley B. King ( b. September 16th, 1925 in Itta Benna, Mississippi ) was better known as B.B. King, He was born on a plantation to sharecroppers, and worked at this job from the very early age of 14. After a stint in the Army, King hiked into Memphis, Tennessee with his guitar and found himself a job as a disc jockey for WDIA in Memphis. 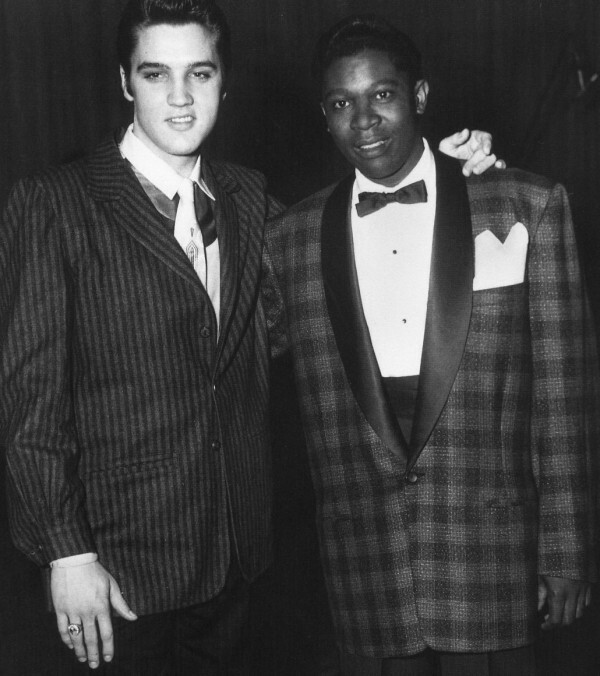 He was given the nickname “Blues Boy,” at this time, which was eventually shortened to B.B. 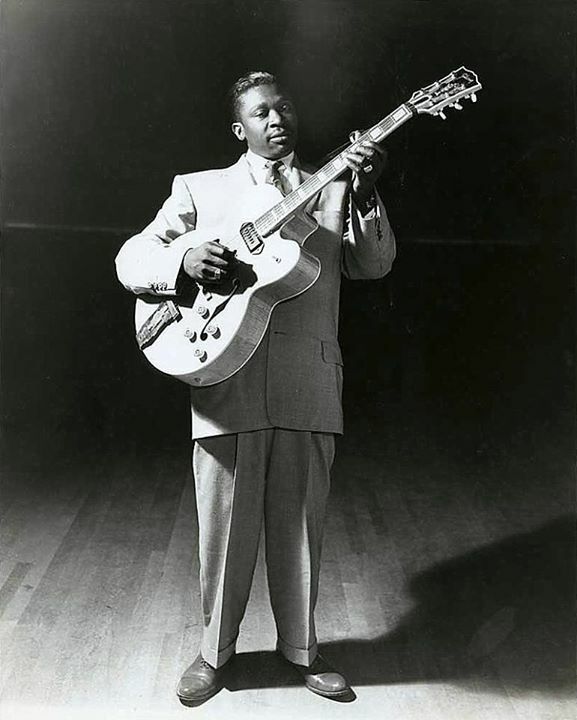 He cut his first record for Bullet Records in the spring of 1949, “Miss Martha King”. The song did not meet with much approval from critics, but the once and future King of the Blues would soon go on to succeed beyond anyone’s expectations. “Miss Martha King” Bullet Records, 1949. “Three O Clock Blues” RPM Records, #1 on the charts, 1951. His breakthrough hit was a few years later for RPM records: “Three O’ Clock Blues”. Recorded at the Memphis YMCA and produced by Sam Philips, it was #1 on the charts in 1951. 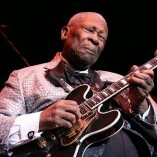 King would continue to write a number of songs that would become blues standards, such as “Rock Me, Baby,” “Recession Blues” ” Sweet Little Angel,” “Sweet Sixteen parts 1 & 2”, “Paying The Cost To Be The Boss” as well as being known for definitive recordings of “How Blue Can You Get”, “Let The Good Times Roll”, And a chart topper he had in 1970 for Bluesway records, “The Thrill Is Gone”, the song for which most will remember him. More recent generations will remember his collaboration with the band U2 on the song “When Love Comes To Town”, a song King liked so much he’d sometimes play it more than once per concert. His guitar “Lucille” became just as much of an iconic symbol as he was; the story he’d often tell about his gig in Twist, Arkansas, which was the story of how Lucille got her name, is true. Although King maintained a residence in Las Vegas, Nevada, he essentially lived on a tour bus, keeping up a rigorous tour schedule well into his late ’80s. He was given many awards and accolades in his lifetime: Yale University and Brown University awarded him honorary Doctorate of Music degrees in 1977 and 2007 respectively. In 1980, The Blues Hall of Fame and in 1987 The Rock & Roll Hall of Fame inductions, plus awards and accolades by Presidents G.W. Bush and Obama. His very last studio album, “One Kind Favor” Reached #37 on the charts and was awarded a Grammy award for Best Blues Album of 2009. The list of guitarists he influenced reads like a who’s who of the blues and rock & roll. He counted among his friends Eric Clapton, Carlos Santana, Buddy Guy and Gary Moore, just to name a few. He encouraged the talents of younger players like Stevie Ray Vaughan, Jeff Healey, Susan Tedeschi, Derek Trucks, and others. He was a remarkable, irreplaceable talent, whose presence among us will be forever missed, but I am sure his influence will live on forever. B.B. King & His Band Live at Nick’s Uptown, Dallas, Texas 1983. This post was written, compiled and edited by Joshua Day. All Michael did is post it. Please disregard where it states “written by Paris365” below.